Get started on the right combo! 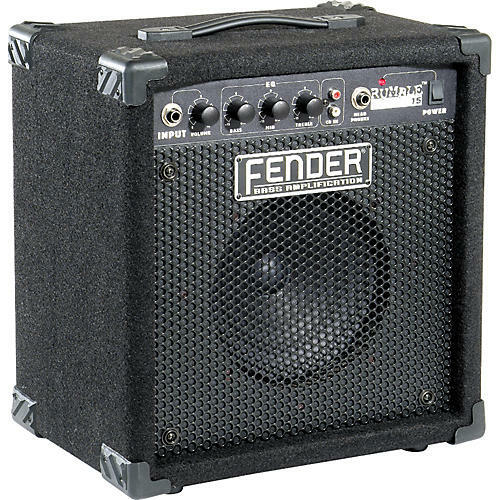 You'll find the Fender Rumble 15 Bass Combo Amp perfect as your in-house practice amplifier. Fender has designed the Rumble series to meet the needs of the beginning bassist by building in all the essentials, then holding the line on price to make it accessible to most anyone. The ported bass design holds an 8" special driver powered by a 15W amp. Fender built the carpeted cab of the Rumble 15 Bass Combo with oversized corners and a metal grille for durability.